Whether it happens suddenly due to injury or slowly over time, a torn rotator cuff can cause shoulder pain that keeps you from work and the activities you love. 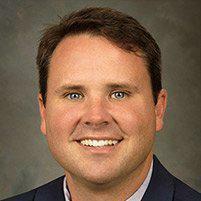 At Columbus Shoulder Surgery & Sports Medicine in Columbus, Georgia, orthopaedic surgeon Robert Lewis, MD, applies the most advanced arthroscopic techniques to diagnose and treat rotator cuff injuries. If you have shoulder pain you suspect may be from a rotator cuff tear, call or click online to schedule an appointment with Dr. Lewis today. The rotator cuff comprises four muscles and tendons that work together to move your arms and keep your shoulder joint in place. A rotator cuff tear is a common injury in which the tendon that protects the top of your shoulder gets damaged. Also called an incomplete tear, this happens when the tendon becomes damaged or frayed but isn’t completely severed. A complete, or full-thickness, tear separates the tendon from the bone. This type of tear basically causes a hole in your tendon. The two main causes of rotator cuff tears are injury and overuse. This type of tear happens suddenly as the result of an injury. If you fall down on your arm or lift something too heavy, you might end up with an acute rotator cuff tear. What does it feel like to have a torn rotator cuff? How does an orthopaedic surgeon treat a rotator cuff injury? First, Dr. Lewis evaluates your symptoms and medical history. Then, he examines your shoulder for any tenderness or signs of injury. He may ask you to move your arm in different directions to assess your range of motion. If he determines you have a rotator cuff tear, Dr. Lewis discusses the best treatment options based on your condition. Some rotator cuff tears heal with physical therapy and anti-inflammatory medicines. 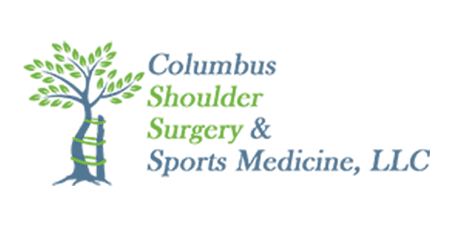 If you think you may have a torn rotator cuff, call Columbus Shoulder Surgery & Sports Medicine or book an appointment online today.